The current economic climate is a great time for borrowers but a lousy time for savers. Because of the recession, the Federal Reserve has lowered interest rates to the lowest rate in roughly 50 years. While this was done to stimulate borrowing, which is beneficial for the economy, low interest rates mean low risks and thus low returns for savers looking at investment vehicles. In this video, Dan Danford, Founder and Chief Executive Officer of Family Investment Center, shares basic economic principles and helpful financial tips on different investment types. Family Investment Center recently recognized Eileen Dyer for her positive impact in her communities. 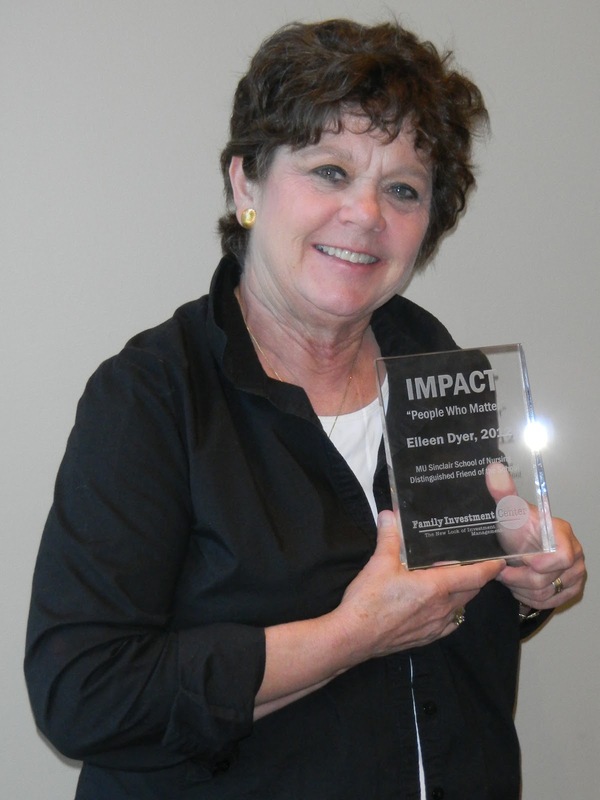 The Impact Award was presented to Eileen at a Friends of the Free Clinic meeting on June 13, 2012. The Impact Award really grew from two thoughts. First, people think our business is mainly about money, but it's really about impact. We help people do things that will bring positive impact to their retirement, their family, and the charities they love. Second, St. Joseph doesn't do a real good job of recognizing achievement. I mean, there are some nice awards out there for some very worthy people. But there is a lot of good that goes unnoticed, and I really think that's too bad. It is genuinely remarkable what our citizens do, and outsiders sometimes see things that we overlook. That is certainly the case with Eileen. The University of Missouri Sinclair School of Nursing recognized her, and that makes me proud. In fact, it should make everyone in St. Joseph proud. Eileen Dyer brought true impact to nursing and that school, and all of us know her for the positive impact she brings to everything she does. This is just our way of recognizing that impact. 1. You spend good money on crap. 6. You’re clueless about your investments. Click here to read the full article and see what you can do to avoid putting yourself in a financial blunder. When should you start thinking about purchasing a long-term care coverage policy? In the video below, Dan Danford, Founder and Chief Executive Officer of Family Investment Center, gives an outlines the four things everyone should consider when deciding to purchase long-term care coverage. This is a story of losing my vision but seeing things clearer than I ever have. In July 1979, I was diagnosed with an eye disease called Retinitis Pigmentosa. Most refer to this condition as RP. RP started out with me not being able to see the stars at age 14. The disease continued to progress with night blindness at age 18. I remember talking with my parents and grandparents about not seeing at night well. The advice was that some people have night blindness and not to worry. I continued to play sports and graduated from Missouri Western not giving my failing vision any thought. At age 23, I was missing the softball in the lights while playing. I was placed on the bench. My thought was now I need to go see about getting glasses. The eye doctor told me that I had RP. At this time, I had lost a lot of my peripheral vision. This was a very difficult time for me because the doctor felt that I would be totally blind in 24 months. At first I wanted to give up but this changed to where I wanted to prove this wrong. See, I was no different than anyone else that had received heart-breaking news. My thoughts were, Where do I go now? What do I do? What will be my future? I was determined to find the answers to these questions. I want to share my story, so you too will never give up. Here it is 33 years later. My vision is down to seeing shadows, light and dark and fading. The real blessing is that I am a long distance runner and run by myself every day. The good Lord, after being outside for awhile, allows me to see the black expansion joint in the middle of the street. The expansion joint guides me for hours as I run through my subdivision. I was fortunate in that there was a slow progression of my eye disease. I had the time to prepare, by memorizing what things look like, developing a sense of direction, continuing my education and time to make the necessary adjustments in how to continue doing everything that I wanted. I learned to use my other senses to their full potential. Are you prepared for tomorrow? The ability to have physical sight is wonderful and should not be taken for granted. I would like to share with you how I see with my mind, heart, and spirit. My wish is that you can develop these abilities in addition to your physical gift of vision. Can you see the benefit? Let me explain how I use these to help me see today. Here is how your mind can work for you. Just try this. It works. Home repairs can be fun if you try. Most home projects include your spouse, family member, or friends. Just use their eyes at times if needed. I just picture completing the task in my mind. I think about how I can do this and do not stop thinking about it until I have figured out a way. For example, I wanted to repair a small hole in the sheet rock wall and repaint this wall. I feel the size of the hole over and over with my fingers. I then decided that the hole is too large just to fill but would need to be taped as well. I pictured over and over in my mind the steps needed to accomplish this. The repairs are made successfully and then it was on to painting. Could you use this same process every day maybe at work when completing a project or facing a challenging goal? The answer is yes. Taking the time to picture the steps, methods, and the finish line is critical to your success. Seeing with your heart allows you to feel things you never would through physical vision. I do not have the ability to see what someone looks like, facial expressions, their dress, or even if they are experiencing a bad hair day. I have a huge advantage over you. I listen with my ears, what they say and how they say it. My heart can see them as they truly are. I listen to their excitement, sadness, and gain insight into their character. My goal is to learn who they really are and their potential. What a blessing! You too can learn this. Using your physical vision alone can many times lead to misperceptions and wrong assumptions. Using your heart helps you get to know a person better. 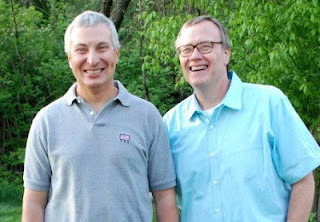 What joy there is in making a new friend or hiring a person outside your comfort zone. Most individuals are afraid of using their heart. There is nothing wrong with having a soft, caring, loving, and insightful heart. Developing this type of vision takes courage, determination, and effort to see a person’s real potential. Seeing with my spirit has been the largest benefit for me. My faith is what has carried me every day since July 1979. Fear and being afraid of failing stops most of us from living our dreams and I was no different. My spirit feeds my mind and heart. I have to know in my spirit that I am not in this alone. Every day I go out to run or go off to work there is fear. What if I get lost while running? What if I am asked to do something at work that I have never done? God feeds my spirit to stop and think it through with my mind and heart. Suddenly I feel a sense of calm. My fear slowly goes away. When I first started running in my subdivision I would get lost. I would panic and walk around for several minutes to an hour. God was there with me. Once I stopped being terrified, He gave me a way to know where I was. I walked over to a mailbox. I found raised numbers and letters. My mind went to work. I just needed to memorize the street names and range of numbers for my blocks. What a gift! I now use my spirit through prayer to feed my mind and heart. Now my vision is fading. Seeing shadows, light, and dark is what I see. My only vision comes through my spirit, heart, and mind. I am so glad that I have been given the ability to see like I never have before. My wish is that you learn these gifts in addition to having your physical gift of sight. Do you have fading shadows in your life? Why not just use the gifts that you have been given to never give up? Let's live our dreams together and make a difference with our lives. Fading shadows are what I have left, but beautiful sight has been restored through my spirit, heart, and mind. What great joy!